Some journeys are meant for adventures, and some for crazy misadventures. But journeys that change your life forever… shouldn’t be missed. 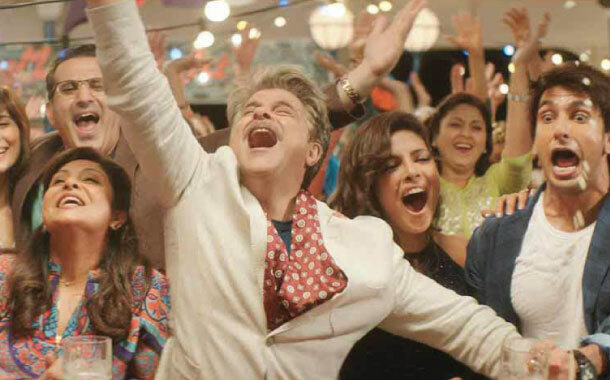 Zoya Akhtar’s power- packed star ensemble in the movie Dil Dhadakne Do set sails for anniversary celebrations; the 10-day cruise ultimately helps the characters discover themselves amidst the overdose of family melodrama. 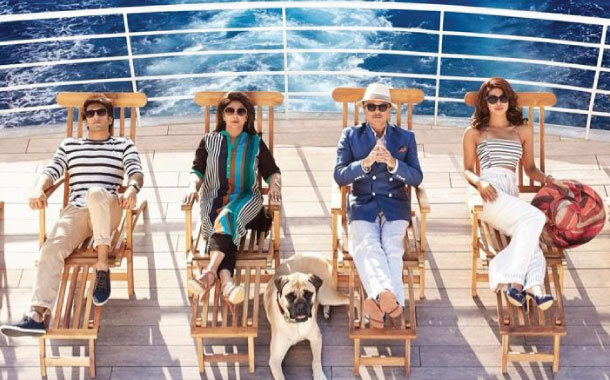 A perfect cruise planned by Ayesha (Priyanka Chopra) who runs the successful travel portal, Musafir.com, unites a dysfunctional family through incredible experiences and memories. A journey within a journey guarantees emotional outburst and fun. Here are 12 things you learn from this uber-cosmo movie. Are you ready to go cruising? 1. You may find your sweetheart on a cruise trip. One good reason for singles to opt for a cruise voyage is that you may get lucky and meet the love of your life here. Like in this movie, Kabir Mehra (Ranveer Singh), falls for the gorgeous dancer Farah Ali (Anushka Sharma) and Ayesha (Priyanka Chopra) reunites with her long-lost love Sunny (Farhan Akhtar). 2. Travelling makes life more meaningful. Travel gives you the opportunity to take time off from your busy schedule and reflect on your relationships for a meaningful life. 3. Cruise trips are more fun than a normal trip. You can celebrate, dance, laugh, dine, play pranks and lots more with your family and friends all under one roof. Remember the song ‘Gallan Goodiyaan’, where they sing and dance together on Punjabi beats, inspiring us to join them. Enjoy a fascinating cruise holiday with our cruise packages. 4. Turkey has a remarkable history. When their cruise docks at the port of Turkey, you see them strolling at the street markets and the female gang heading to the Hamam Turkish bath. So, when in Turkey, do try out these experiences and rejuvenate your spirits. Sounds interesting, isn’t it? To explore this exotic place, select from our Turkey tour packages and book the one which suits your requirements. 5. Cruise holidays give you enough time for shore excursions. In Istanbul, you see Kabir Mehra (Ranveer Singh) and Farah Ali (Anushka Sharma) cycling like free spirits and getting to know each other better. Here you can try out cycling and other excursions with your loved ones and closely connect with the local vibe. 6. World is full of exciting historical places. Later you see these families visiting a museum in Istanbul and clicking their pictures at beautiful spots. When you are in Istanbul, don’t forget to explore the museum and learn about the intriguing history of this land. 7. On a cruise, you could also stay fit while you travel. One more reason to take a cruise trip is that it is well-equipped to charge your sporty spirit. Do you remember the funny scene where Ayesha (Priyanka Chopra) gives a tough competition to her husband Manav (Rahul Bose) while they play tennis? 8. Experience the art and architecture galore when you travel. The cruise docks at the port of Egypt and you see the families hopping to the Roman Amphitheatre. So, when in Egypt, do visit this Amphitheatre and marvel at this beautiful piece of art. Excited? To experience it first-hand, select from our Egypt tour packages and book the one which suits you. 9. Culture is the most important aspect of travel. While in Egypt, the families talk about savouring seafood and hitting the bar to celebrate. So, do tantalise your palate with the Egyptian seafood and party by indulging in the refreshing beverages. 10. Travel with your pets. 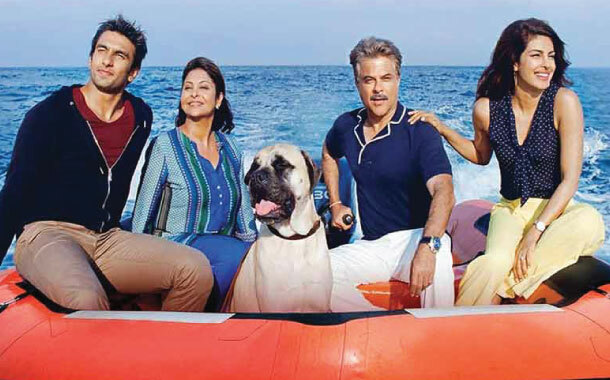 Remember Pluto Mehra - the pet dog of the Mehra family? While travelling, if things don’t work out your way, these affectionate and cute beings will cheer you up. 11. Travel ends the bitterness among people. In this movie, you saw enmity between the business rivals. But in the end, when they face problems, everyone unites to resolve it together. Last but the most interesting message, this movie conveys is to be fearless, pursue what you love, and give freedom to your loved ones. This is very much applicable, as being fearless, loving and a free spirit enriches a traveller’s experience! If you wish to add some more interesting reasons, please feel free to share them in the comment box below.